Garrett Carr, School of Arts, English and Language, Queen’s University. Pat Cooke has been director of the MA in Cultural Policy and Arts Management and Cultural Policy at UCD since 2006. Previously, he was director of Kilmainham Gaol and the Pearse Museum on behalf of the Office of Public Works, and is a former chairman of the 32-county Irish Museums Association (2002-6). He is currently completing a history of culture, state and society in Ireland, 1850-2003. Dr Riann Coulter is a curator and art historian specialising in Irish and British art. She studied at TCD and the Courtauld where she was awarded a PhD in 2006 focusing on cultural identity in modern Irish art. She has curated and co-curated exhibitions for IMMA, NGI, Crawford, RHA, Butler, National Museums NI and the F.E. McWilliam Gallery, Banbridge, where she has been curator/manager since 2009. Colin Darke is an artist and writer. He moved from London to the north of Ireland in 1988. He has exhibited widely over the past three decades, including Manifesta 3 in 2000, the Venice Biennale in 2003, Santa Barbara Museum of Art in 2013 and Mac International in 2014. He writes reviews regularly for Source Photographic Review and Visual Artists News Sheet. He was awarded a PhD from Ulster University in 2010. Garrett Carr, map-maker and writer, and is A lecturer in Creative Writing at Queen’s University. Born in Donegal, he lives in Belfast with his family. His book, The Rule of the Land: Walking Ireland’s Border , an account of his tour and mapping of the border, was published by Faber and Faber in 2017. It was subsequently Radio 4 Book of the Week. Gavin Murphy is a lecturer in Art History and Critical Theory at Galway-Mayo Institute of Technology. He has previously lectured at the University of Ulster and been an Associate Lecturer for the Open University. He is currently course chair for the MA in Creative Practice, GMIT, and chair of the board of TULCA Festival for Visual Arts, Galway. He publishes regularly in the area of contemporary visual arts and photographic practice. Journal publications include Irish Review, Irish Studies Review, Third Text, Circa, Source Photographic Review, VAN and Printed Project. He has contributed the essay ‘New Media Art in Ireland’ to The Art and Architecture of Ireland, Volume V: Twentieth Century (Royal Irish Academy and Yale University Press, 2014). 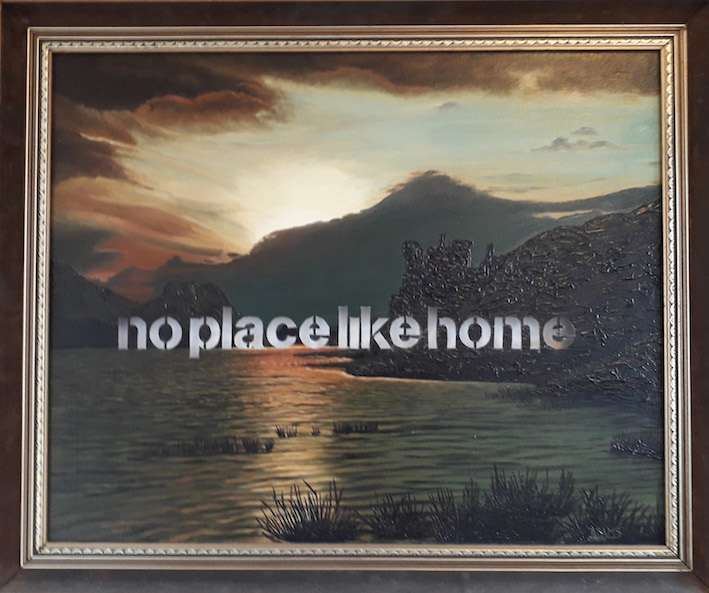 Two entries for the Modern Ireland in 100 Artworks series were published in the Irish Times and appear in the book of the same title, edited by Fintan O’Toole. Forthcoming publications include an essay on Conceptual Art in Ireland in Brightening Glances: Irish Art since 1900 (RIA), and, the third essay in the series The Moonlight of Fantasy: The Russian Revolution Now for Circa Art Magazine. The talk summarizes an essay for a special issue of Third Text, titled: ‘Lost in Europe: in the Wake of Britain’s Inner Emigration’ which will be published in November. Open Space Gallery, an affiliate of the art journal Third Text, directed by Gülsen Bal a member of the journal’s Advisory Board, will launch an exhibition project: Lost in Europe: in the wake of Britain’s inner emigration at its new venue in Vienna for 18/19 October to 9 November 2018. The exhibition was conceived by Richard Appignanesi and Gülsen Bal to coincide with the publication of a special issue of Third Text under the same title: Lost in Europe: in the wake of Britain’s inner emigration, guest edited by Richard Appignanesi. The issue is due in November 2018 and will feature original articles responding to the Brexit and Trump phenomena contributed by 18 distinguished European, American and UK authors, with 10 additional artworks by internationally acclaimed artists. The authors are: Jonathan Harris, Arnd Schneider, Iain Chambers, Fabio Vighi, Gavin Murphy, Victor Merriman, Daniel Jewesbury, Alex Monroe, Juliet Steyn, Matthew Flisfeder, Mikkel Bolt Rasmussen, Alan Finlayson, Maya Van Leemput, Richard Appignanesi, Benjamin Noys, Emma Schofield, Max Haiven and Shamim Miah. The artists are: Joan Key, Alan Michelson, Raša Todosijević, Murray Robertson, Haim Bresheeth and Yosefa Loshitzky, Gregory Sholette, Amikam Toren, Bruce Barber, Raphael Appignanesi, Margret Hoppe. 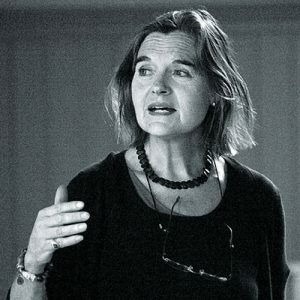 There’s been a lot written about Nikki during the weeks since her passing: how she was a brilliant scholar; a pioneer of design studies; a larger than life figure in Irish academia (and beyond). All of these observations are true, but to a vast cohort of students and colleagues she was also an inspiring educator, a mentor, a friend, an ally. She was vivacious, warm, funny, irreverent and always wonderful company — wherever she was, her presence lit up the room. I first met Nikki as an undergraduate design student in NCAD in the 1980s. At the time, the teaching of Art History to design students was standard practice. But, always interested in and attuned to our individual studio practices, Nikki introduced us to the applied arts, to popular culture, to the everyday and the mass-produced. She nudged us towards subjects that, at the time, were not widely known, or appreciated within academia, but that were more relevant to what would become our professional disciplines. She taught us that images and objects have social and cultural relevance; she encouraged us to work across disciplines; she was a pioneer. There are many of us today working in design education, research and criticism that owe a large part of our careers to Nikki. Without her encouragement, coupled with her seminal research on Harry Clarke and the Irish Arts and Crafts Movement, we would not have perceived of Design History as a stand alone discipline, let alone thought that we could make careers in this field. In effect she fostered a network of younger scholars with similar interests, with whom she was always happy to share resources and insights. Nikki had a razor sharp intellect and was insatiably curious; her willingness to constantly learn set her apart from other scholars. She had an encyclopedic knowledge of the creative arts and of Dublin, her adopted city. Like a cross between a detective and an academic she was always asking ‘why’, tenaciously pulling at the threads of some seemingly tangential narrative that had to be explored to the point of either inclusion or exclusion in her research or our own. She taught us to look beyond archives and text, to look to social networks for understanding the mechanisms of how decisions were made, to patterns within and across things, always offering some nugget of information that prompted even further interrogation. She taught us to explore, to be thorough, to question. As my BA (and later MA) thesis supervisor, Nikki championed my research interests at a time when these perplexed others. She took me (and my research) on as a challenge, making it clear that we were on a journey together, learning from each other. She was unbelievably generous with her contacts and research, always acknowledged her sources and gave due credit, even if those were her own students. Indeed, very soon after I graduated from my BA, she recommended me for my first teaching job; I was barely older than the students I was put in charge of. While I was working on my MA Nikki became a mother. Her delight in her daughter Venetia – ‘named after my favourite place in the world: Venice’ – was truly touching. I have many happy memories of lengthy (and rather unorthodox) tutorials at her home where she had Venetia in one hand, was pulling out books for me with the other, while her husband Paddy diligently made us tea or dinner in the background. The last time I saw Nikki was December 19th 2017. She was in terrific humour and her usual gregarious self. She joined some of her ‘design girls’ for a quick drink, a prelude to what was meant to be a ‘proper catch up’ after Christmas. Amid exclamations of ‘Oh, you clever, clever girls!’ (her effusive response to whatever projects we were currently working on) she gave us huge hugs and the broadest smile. We all promised to meet after Christmas to continue the conversation. This was cruelly never meant to be. Nikki died on Jan 5th 2018. And we miss her terribly.